Alpharetta drivers are looking for a vehicle that delivers power and control, and the performance features of the Mercedes-Benz GLC do just that. With impressive handling and a powerful GLC engine, you’ll have fun driving this vehicle along Milton roads and beyond. Explore the GLC performance features below, and then get excited for the 2019 GLC 350e model coming soon! The Mercedes-Benz GLC Engine offers 241 horsepower and can reach 0-60 mph in 6.3 seconds. 4MATIC® All-Wheel Drive lets you handle every road and weather condition with complete control and confidence. The AIR BODY CONTROL® feature lets you lower and raise your Mercedes-Benz GLC for better performance when needed. The Mercedes-Benz GLC is an attractive vehicle packed with enhanced performance features. 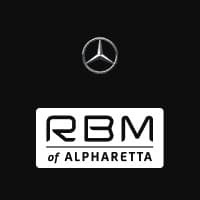 Compare the GLC vs the BMW X3 or GLC vs. GLE to learn more, and when you’re ready to find the GLC that suits your specific needs, be sure to visit us at RBM of Alpharetta. Contact us today to find out more about available SUV models and all of our financing offers.